This book analyzes Chinese society and evaluates the achievements and failures of the Maoist ideology. The central theme is the urban and rural balance in China's development from the Revolution to the late twentieth century. 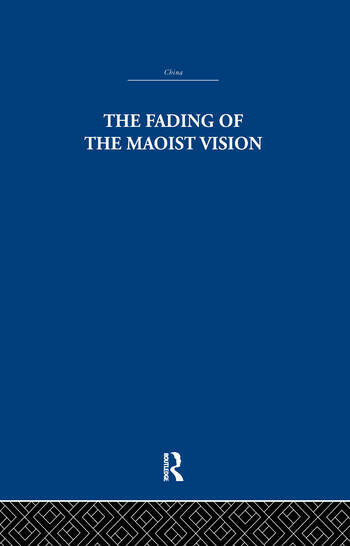 The Fading of the Maoist Vision shows how the original Revolutionary blueprint was altered and the ways in which China has steered a different course from that charted by Mao as the ideological vision encountered an increasingly pressing set of economic realities. · Is particularly valuable in setting China's achievements in the larger context of global ideas about the problems of national development and by comparing them to the experience of India in its pursuit of the Gandhian ideal.